Interstate Heavy Rentals | Specializing in large capacity forklift rental. 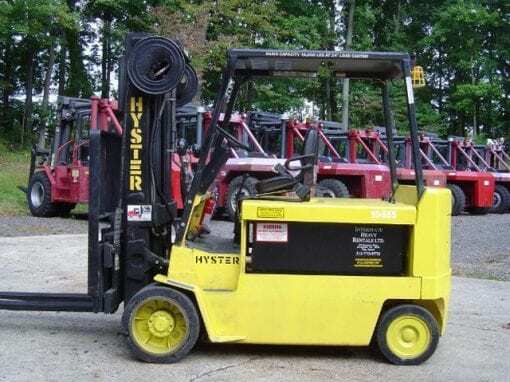 We specialize in renting large capacity pneumatic tire (outdoor) forklifts starting at a 10,000 lbs. capacity and spanning up to 65,000 lbs. capacity. Browse our inventory and view detailed information on any forklift you may be interested in renting. Here you can find relevant information such as capacity, lift height, fuel type, available attachments, and so much more. Should you need further assistance, contact our team of experienced rental coordinators and one of them will be happy to guide you toward the machine that will fulfill your needs. 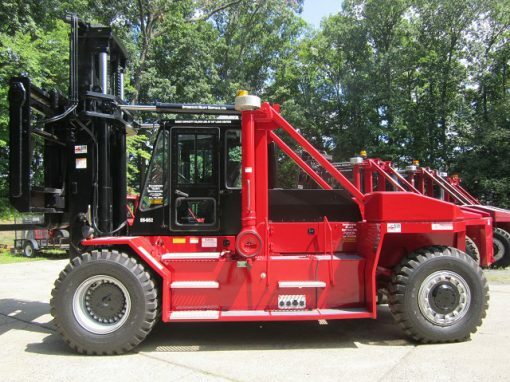 Our company also has a fleet of large capacity cushion tire (indoor/warehouse) forklifts starting at 5,000 lbs. capacity and spanning up to 60,000 lbs. capacity. Browse our inventory and view detailed information on any forklift you may be interested in renting. Here you can find relevant information such as capacity, lift height, fuel type, available attachments, and much more. Should you need further assistance, contact our team of experienced rental coordinators and one of them will be happy to guide you to the exact piece of equipment that will complete your project on site. 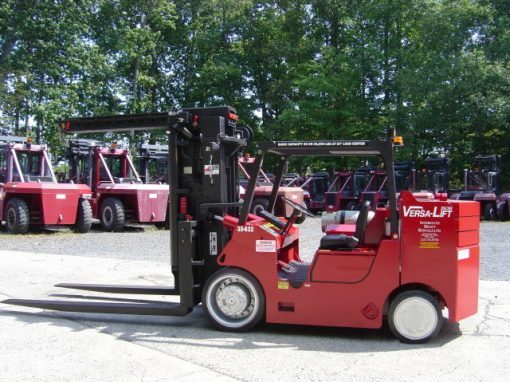 We also have various electric forklifts in that 8,000 lb. to 12,000 lb. capacity range. Browse our inventory and view detailed information on any forklift you may be interested in renting. Here you can find relevant information such as capacity, lift height, fuel type, available attachments, and so much more. Should you need further assistance, contact our team of experienced rental coordinators and one of them will be happy to guide you toward the machine that will fulfill your needs.